Modulus is the length of a vector. The length is the distance between two points. To find the modulus of a complex numbers is similar with finding modulus of a vector. 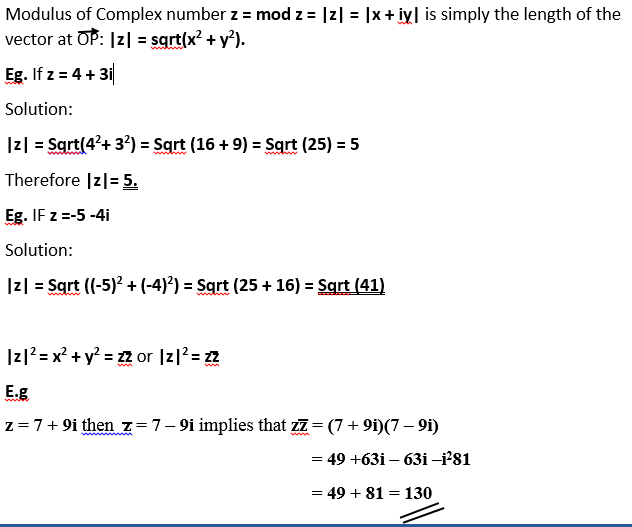 For a given complex number, z = 3-2i,you only need to identify x and y. Modulus is represented with |z| or mod z. 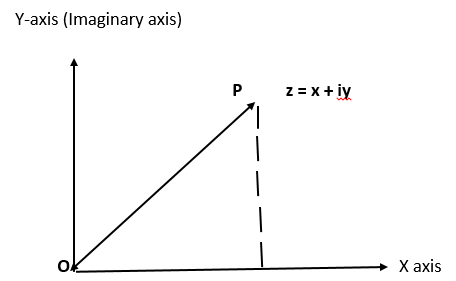 In this example, x = 3 and y = -2. Then, |z| = Sqrt(3^2 + (-2)^2 ). Modulus/ Absolute/ length is the square root of the sum of the square of x and y. This is also known as length of complex numbers. A notice here is that when finding the modulus or absolute we are finding the distance between two points. A key thing here to note is operation sign. Make sure you watch the video so as to get more details.